Want to climb the sails of the Sydney Opera House? 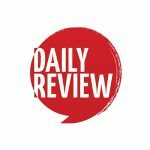 Here's your chance | Daily Review: Film, stage and music reviews, interviews and more. Since 1998 tourists have been able to climb to the top of the Sydney Harbour Bridge for a spectacular view of the Harbour City, but those scared of heights might be drawn away from the bridge to the Sydney Opera House’s new attraction. ‘Climbing the Sails’ is a new virtual reality experience created by Samsung and the Sydney Opera House, available in the Box Office foyer from later this year. Visitors will be able to don a VR mask and get up close and personal with parts of the building previously not able to be accessed. As well as Climbing the Sails, the NSW State Government today announced that it would provide the first $12 million of the $202 million committed to the Opera House Decade of Renewal in next week’s budget. Samsung also announced it has renewed its ‘Principal Partnership’ with the Opera House for the next five years. No, you don’t get to actually get up onto the sails. If you want to do that, you’ll either have to become a protester and risk substantial gaol time or become the NSW Arts Minister (pictured on the sails, above).